Paper deals with the flow of coolant through the concentric gap between the end plate and non-contact surface of the workpiece machined with internal teams of coaxial grinding tool. Installing the tool of special mechanical seal guarantees the high-pressure coolant in the treatment area, and the clearance significantly increases the basic cutting parameters. The geometrical parameters of concentric gap, as well as geometric shape and size of the external (working) the seal had a significant influence on the coolant pressure in the treatment area. Modeling and calculation of hydrodynamic flow coolant through the gap to determine the optimal value of leakage, which guarantees removal of sludge from the treatment area, reducing the thermal stress of the grinding process, as well as to control the pressure in the cutting zone. Keywords: wear rings, coaxial grinding, coolant pressure, cutting zone. Blurtsyan D.R., Trifonov Y.V., Blurtsyan I.R., Gusev V.G. Way of internal grinding // Russia Patent № 2182531, B24D 5/14, 20.05.2002. Blurtsyan D.R. High grinding assembly for coaxial internal grinding: Author. dis … Dr. tech. 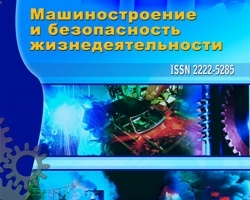 Science – Moscow: MoscowStateTechnicalUniversity (Stankin), 2007. – 36 p.
Makarov G.V. Sealing devices – L.: Mechanical Engineering, 1973. – 207 p.